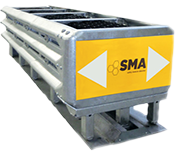 SMA Road Safety devices are the result of a great work thanks to an expert design team and an efficient manufacturing sector. 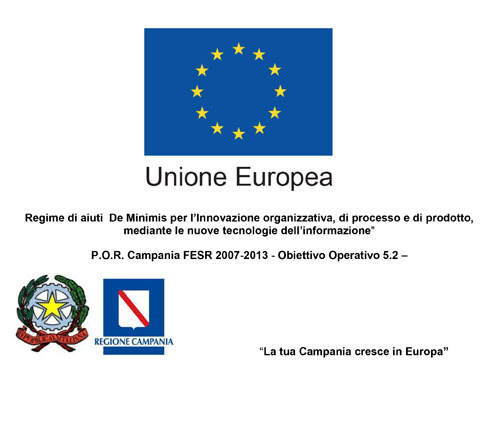 SMA Crash Cushion 110P, already tested and certified according to the European Norm EN 1317, has now been tested according to the Amercan Standard NCHRP 350 TL-3. SMA safety devices assure high performances and protection for the occupants of the vehicle. Low costs maintenance and restoration are one of the most important features of our safety devices. 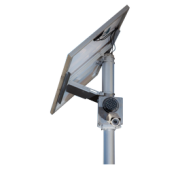 SMA devices are available in different models, as shown below. The Crash cushion with reduced sizes. The Crash Cushion for the wide cusps. The devices designed for the towns. 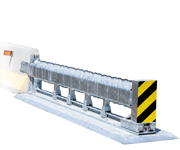 The device to protect side and median barriers. 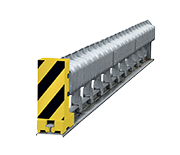 Special Crash Cushions for special obstacles. 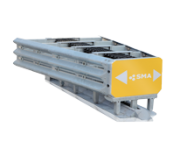 Why choose SMA crash cushions? 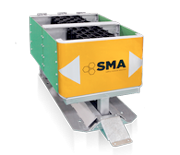 SMA safety device require no maintenance, unless they have undergone an impact. Moreover due to their fire class and dimension they are tunnel compatible. 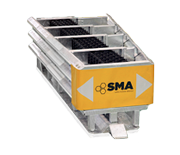 Have a look at our products to discover the economical and safety advantages of SMA family.